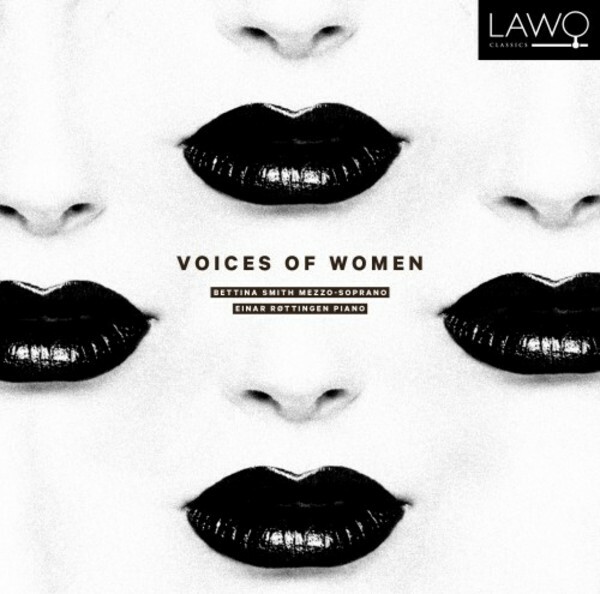 'Voices of Women' is the second CD release of mezzo-soprano Bettina Smith and pianist Einar Røttingen as a duo. Featured this time are Fartein Valen, Jostein Stalheim and Ketil Hvoslef, all composers from Western Norway. The recording highlights women’s voices in world literature: Goethe’s female characters 'Mignon' and 'Suleika', Shakespeare’s 'Ophelia' from 'Hamlet', and the gospel according to Mary Magdalene. The musicians wish this time to place their focus on contemporary Norwegian music composed for voice and piano, and two of the works were written especially for them.